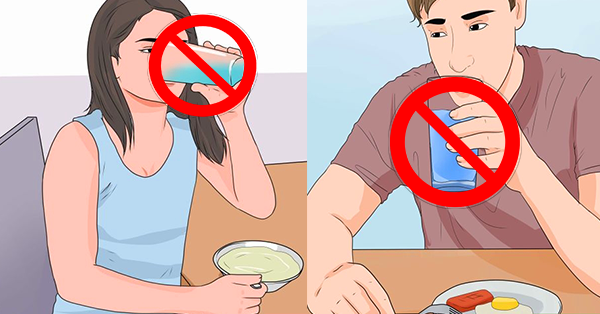 SHOCKING: Danger In Drinking Water During Meal That You Should Not Ignore! Food Coma is one of the major problems that we experience most of the time. It is a state of sleep or extreme lethargy induced by the consumption of a large amount of food. After enjoying a delicious meal, then sitting on a comfy soft sofa, your body is now telling you to sleep. But it is not normal, there's something you need to check. When we are eating, the stomach is producing gastrin, a hormone that promotes the secretion of digestive juices. As the food enters the small intestine, the cells in the gut secrete even more hormones (enterogastrone) that signal other bodily functions, including blood flow regulation. As we are digesting our meal more of our blood is shunted to the stomach and gut, to transport away absorbed newly digested metabolites. It leaves less blood for the rest of the body and can cause some people to feel a bit "light-headed' or tired and feel sleepy. Here are simple tips that you need to know to avoid this problem. Burger and fries. Steak and mashed potato. Eggs Benedict. These combinations that make us want to pass out on the couch after. Taking huge amount of starch (e.g. Bread, pasta, rice, potatoes) and protein (e.g. Fish, chicken, beef, eggs) at the same time can cause acid reflux and indigestion. This is because protein has the slowest rate of digestion, and starches digest much faster into simple sugars. But because they are all mushed up in the stomach, it will take hours until the protein finishes digesting too. And when starches hang around too long, they ferment i.e. Release gas, which causes us to belch. Eat starch first, and then the protein. Do not sweat it if you're having a small portion of starch alongside your protein, you must not overdo the rice and potatoes. You can also eat vegetables with starch and protein. Better to take room temperature water instead of ice-cold water with your meal. Because cold water constricts blood vessels, so it hinders the body to digest food and absorb nutrients. It will also solidify the fats that are being eaten and making them hard to digest as well. Take hot water (with lemon, optional) or green tea before the start of your meal and slowly sip on it. Always remember these tips are for optimal digestion. 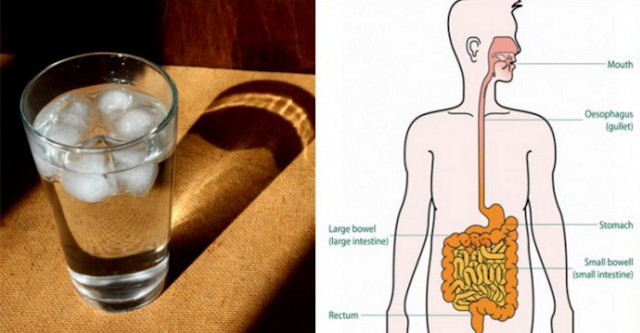 If you suffer from weak digestion, these are far more applicable to you than someone who rarely experience feeling bloated or sluggish after a meal. These tips are also crucial when you have a big brunch meal along the way. Water is great. But it is better to have just small sips in your meal, for the purpose of helping the food along the digestive tract. But drowning your meals with more water will give you indigestion and make you feel bloated. When food enters the stomach, a substance called Hydrochloric acid (HCL) is secreted from the stomach lining to help begin the process of digestion. HCL is highly acidic- after all, it breaks big chunks of food into tiny, absorbable nutrients. So if you drink a lot of water you will just dilute the hydrochloric acid and lose its function. Drink a lot of water an hour after your meal. Only sip little amount of water during the meal.